A new flyer has been posted for the upcoming Swiss Trios event, to be held on June 25, 2017. The event will be held at Stardust Bowl in Addison, not Wheaton Bowl. Click here to view the updated flyer in PDF format. 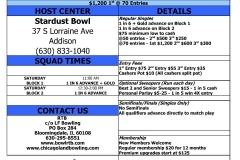 There were two one day events on December 10-11 at Stardust Bowl. There were 47 main event entries and 51 optional sweeper entries and $4,179 was paid out in prize money and optionals. 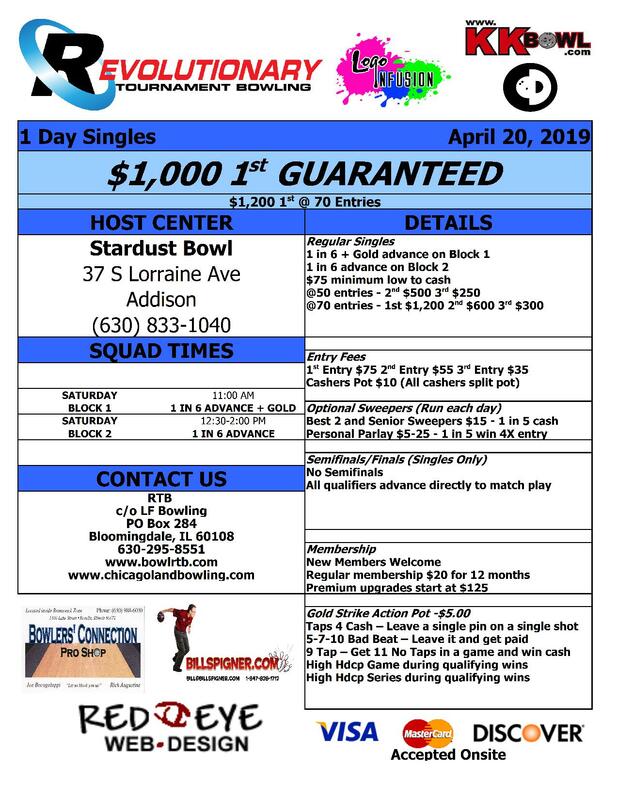 On Saturday congratulations to Janet Kulovitz who topped Bill Krutz, Tony Nguyen, and Ray Kindernay in the final of the singles event to win $1,250. On Sunday congratulations to the doubles team of Tim Culp and Steve Koszola who captured the Swiss Doubles title and shared $500.